Thanks to our friends at Acorn Media, we have 10 DVD copies of the French TV series OURO starring Olivier Rabourdin (Taken, Taken 2) and Mathieu Spinosi (Memories, Clem) to giveaway! 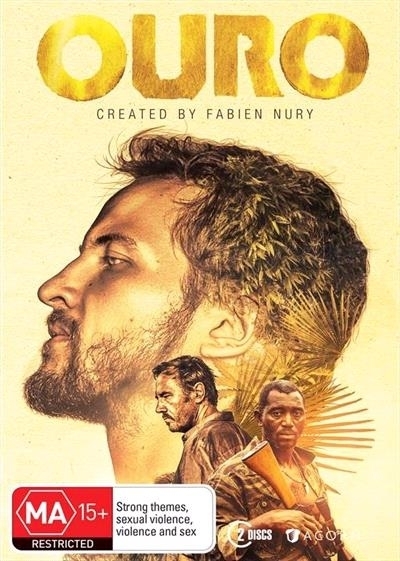 Set against the backdrop of the French Guiana in South America, OURO tells the story of 20-year-old French geology student Vincent (Spinosi), who is sent to undertake an internship at a gold mining company. He soon becomes convinced an abandoned mine is worth millions and is taken under the wing of local 'gold lord' Antoine Serra (Rabourdin). From Serra, who acts like a father to him, Vincent learns everything there is to know about the business. Tensions rise however to a full-sledged war, when their Brazilian competitors found out that the mythical mine is in fact not a legend. The Guyanese Jungle is a world where businessmen, gangsters, geologists and soldiers collide, and men would kill for a few grams of the precious metal. The critically acclaimed series will air on SBS 11th September and be releasing on DVD on 27th September 2017. To celebrate the Australian home entertainment release of OURO on DVD on 27 August, WeekendNotes subscribers have the chance to win 1 of 10 DVD copies. *To go into the draw, all you have to do is send an email titled 'OURO' to competitions@weekendnotes.com and let us know in 25 words or less why you want to see this acclaimed drama. Please make sure to include your full name and mailing address so we can send you your prize! 10 lucky winners will be drawn on the 15 September 2017 at 5pm. Good luck! OURO will be released on DVD in Australia on September 27 through Acorn Media.